Are you wondering how to get your hedges back in shape? 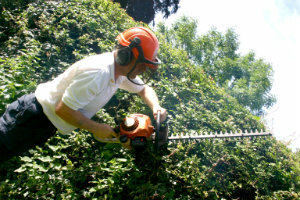 Your best bet is our hedge trimming service in Highbury N5. Why us? First off, we are very dedicated to this job. We have a desire for work and we want the best for our customers. Second, we are trained and knowledgeable. We know everything about hedges and we are going to put our knowledge to work when we get to cut your shrubs. Third, we have the best trimmers available on the market and they make it so easy to trim and shape a hedge. We promise that the work will be done in a professional manner. 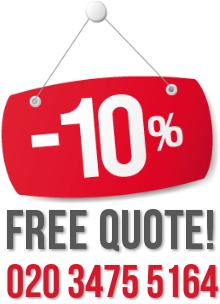 If you are interested, call us today. 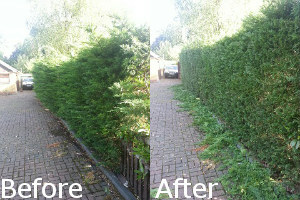 We assure you that or hedge trimming service in Highbury is efficient and it will produce the desired results. You can lean on us 100%. One of the most challenging gardening tasks that calls for professional assistance is hedge trimming. Hedges, no matter how small or big, need cutting and trimming by their first year of growth. Some may need trimming later on. Once you begin trimming the hedges, you need to do this each and every year or once every two years. It makes sense to call in a professional. You need someone who knows how to do it right. It is pointless to try to do it on your own – chances are you’ll waste too much energy and time only to find out the you haven’t gotten the desired results – or worse – you will end up hurting yourself. Hedge trimming is a rough, daunting and laborious task that requires strength, knowledge and the right tools. At our company we have what it takes. That’s why we recommend that you stick with our hedge trimming service in N5 every time. We are professional, hard-working. We have cut many hedges. We know how it’s done. We can help you out. You are now just a phone call always from the perfect hedge. Give us a ring and book an appointment.